Spring is a symbol of renewal. Haute Couture Spring-Summer 2016 invented a new aesthetic. Flat, sun, pleated is king, in all its forms … The silhouette is fluid, shoulders are bare, legs are shown. The creators also draw their inspiration from the Orient and its extremes. Byzantium, Japan, India … and in nature … again and again. Delicate flowers that bees and other insects (Chanel, Dior) will be happy to forage. Intimate presentation in the salons of the French designer, with vintage tunes. The models parade, a number in hand, as it was still at the time of Mr. Dior and Jeanne Lanvin. 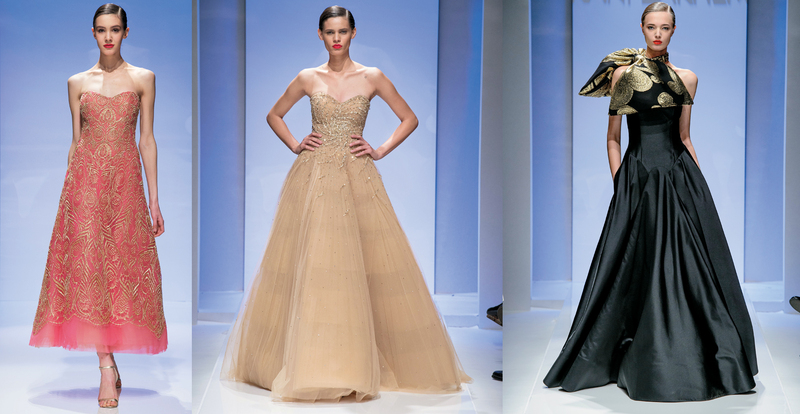 The silhouette is graceful and flowing, pleated sculpts the body. The proportion of the silhouettes flirts with flying overlays and fine embroidery. Lightweight materials, smooth halos amid pastels: peach, apricot, sky, water green, yellow, purple, white and coral glitter flowers, yarrow skirts, short and floating dresses, siren sheaths structured by strapless on pleated dress … and a show all in bloom. 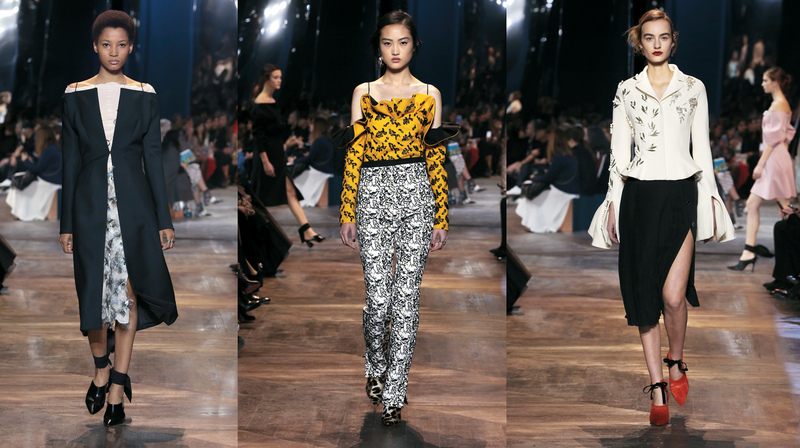 It was one of the most awaited shows of the Couture Week in Paris. Dior without Raf Simons and without new artistic director … What’s the outcome? An amazing Haute Couture collection full of realism and modernity imagined by the duo, Serge Ruffieux and Lucie Meier, who has been replacing Raf Simons since his departure in October. A collection that turns around luck and superstitions … symbols and charms are embroidered on clothing or hung on a necklace as lucks. Volumes are free, the «Bar» jackets are revisited, the shoulder is bare naked. Superimposed tunics, pleated velvet Delphos dresses, coats, kimonos, embroideries that overlap patchwork and folds … The shapes are fluid, aesthetics is light … breathtaking. 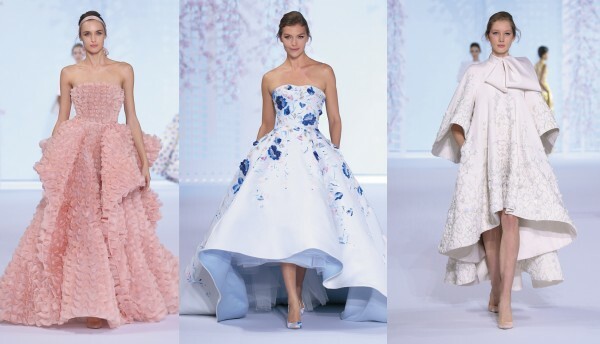 Mild spring with the Australian duo Ralph & Russo. The collection is dreamlike and light, enhanced by ample crepe capes, bell sleeves and gazar clouds. Spring, sign of revival, brings a new aesthetic combining tradition and modernity. Gala dinner or the pleasures of taste … The title of the collection inspires … a fashion feast with Wonderland atmosphere. Onions and shallots embroidery, Chinese teapots, lobster in sequins … Potato Brooches, cherries or crayfish … At Schiaparelli, humor is always on the menu. For Jean Paul Gaultier, fashion is always a celebration. French designer revives the Palace years, a Parisian club very popular in the underground culture of the 80s.He pays homage to his late friend Edwidge Belmore, icon of the punk generation at the door of the Palace, and was inspired by his night companions: Loulou de la Falaise, Farida Khelfa, Eva Ionesco, Grace Jones, Leslie Winer … Festive Youth, free and uninhibited. Donatella Versace remains true to herself and to the codes of the Italian house with a collection of powerful, dynamic and sensual femininity. The split dresses, as torn, hold on a wire … set with Swarovski. Parkas, bomber jackets, yellow or orange harness … When sportswear becomes haute Couture. Movement, volatility, delicate work … Tony Ward offers a Couture Collection with airy colors and moving silhouettes. Pastel blue Jacquards, gray, green and lilac, overlays, embroidery … Like oscillating waves of air streams; organza, cut into ruffles and hand embroidered with silk son, ends in vaporous graduation. Stylish and airy outfits, spring flowering in silk crepe, sable, lace and organza, honeycomb pattern carved lace panel or structured on the tulle, embroidery, crystal bouquets, egrets sequins, beads droplets, jets colors, pink tulle, chiffon green almond shades of purple, ice blue, shades of peach, apricot, tangerine and melon, all the know-how of the House. 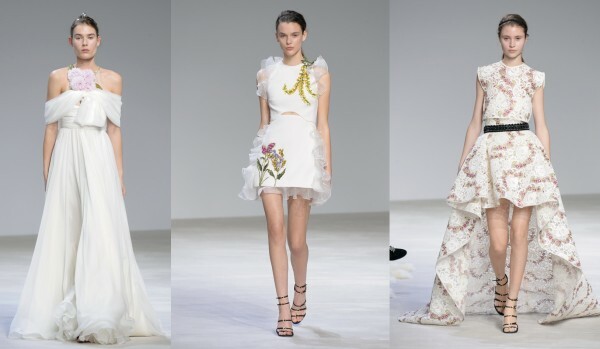 The 10th Haute Couture collection by Giambattista Valli, inspired by Paris and its elegant gardens, is a succession of creations both extravagant and poetic: silk ruffled crepe, delicate floral embroidery, pleated tulle ruffled… Shoulders and the legs are bare subtly. 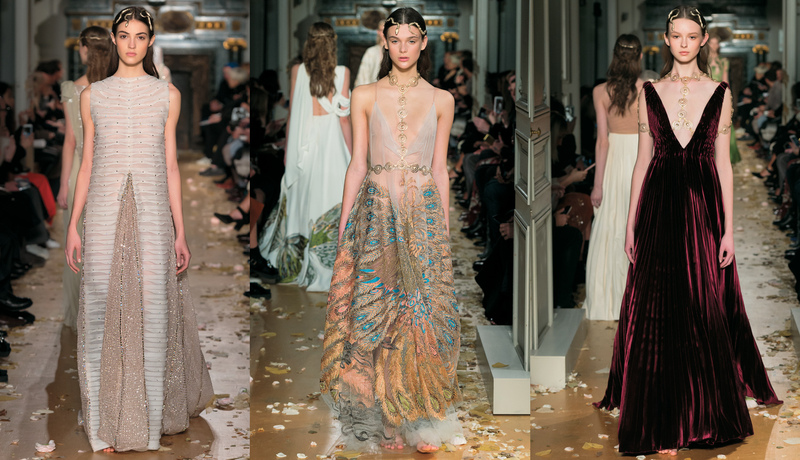 In love with lavish eras, Rani Zakhem presented in Rome his collection, «One more dance». Long sleeves, mermaid dresses in night silk or white pearlescent silk pearl, paisley in gold lace, deep draped neckline, jewel and crystal, capes and trains, powdery notes declined the White Nile green, pink, yellow, pale blue, black and gold … a touch of romance and majesty.